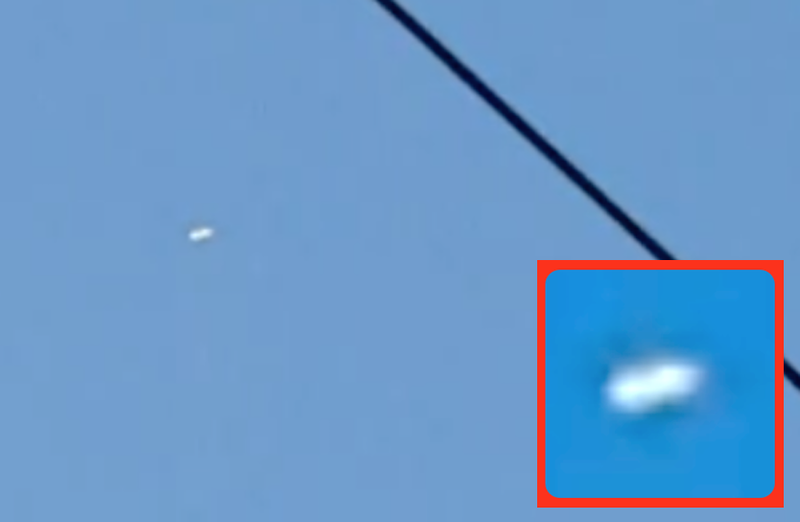 UFO SIGHTINGS DAILY: UFO Over Cicero, Illinois On Aug 2015, Video, UFO Sighting News. UFO Over Cicero, Illinois On Aug 2015, Video, UFO Sighting News. What I really like about this video, is he also shows the size of a passenger jet in the sky above in the same location. This really helps to determine the size of the object which is about that of a car. There are no wings or anything protruding from the UFO, nothing to indicate it would be a normal aircraft. Nice catch, and if you saw this over Illinois this week, please tell us below in comments. I was in my backyard with my dogs, laying down on a picnic blanket. Since I live near an airport, I like taking photos and video of the planes as they sometimes fly past us really low. When I saw this particular plane though, it looked peculiar, not like a plane at all, but more like a white capsule flying by. It wasn't as low as some of the other, regular airplanes that usually fly by, and even though there are other planes that fly at that altitude as this object seem to be, you can still tell they are planes, you can still see their wing shapes. This thing clearly had no wings and wasn't as thin as airplanes, it was more chunky-looking. It didn't sound like an airplane either, and since there was an actual plane that flew right after, I don't know if the hum sound was from the object itself or from the plane that was approaching the area right after, at lower altitude. I don't know what the object was and I'm not saying it was a UFO, but it sure looked very different from any of the planes I've observed laying down on my yard many, many times. I don't think this object departed from the airport nearby because it was already flying too high by the time I saw it, and as seen in the video, the plane that came by after clearly had just taken flight from the airport, and it was flying much lower.